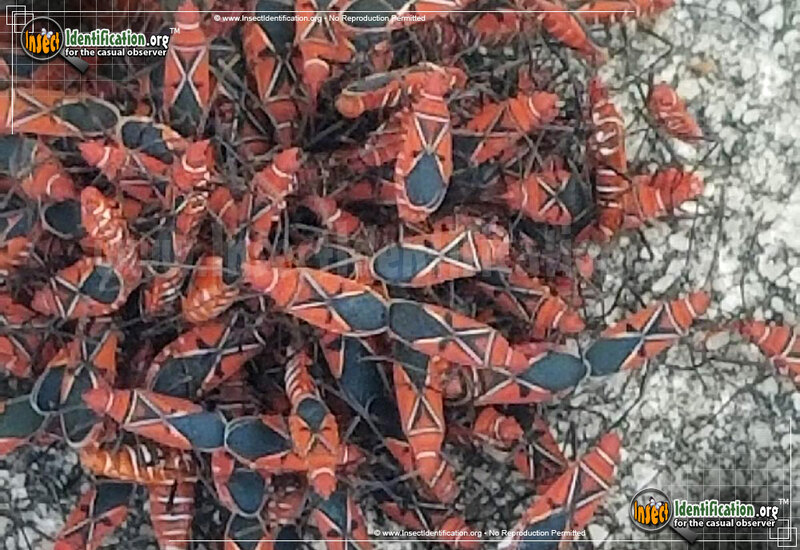 Detailing the physical features, habits, territorial reach and other identifying qualities of the St. Andrew's Cotton Stainer. 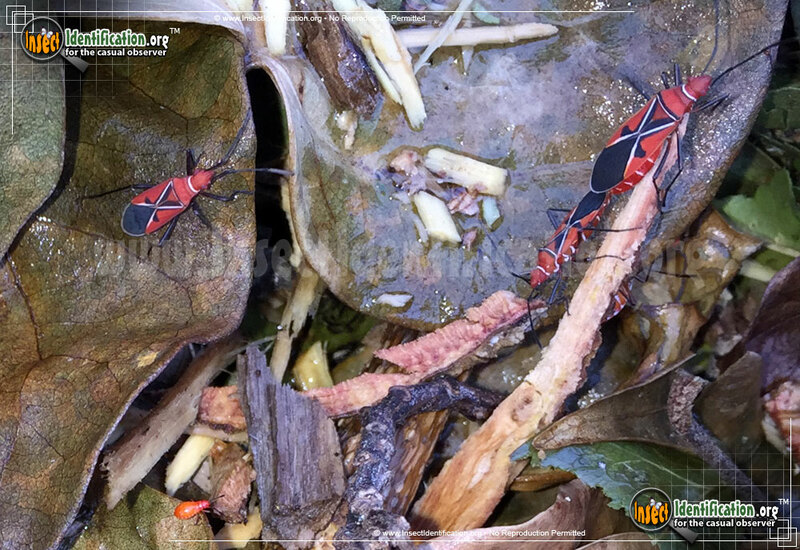 Originally a pest of cotton plants, St. Andrew's Cotton Stainer has moved on to another important cash crop in the sunshine state. 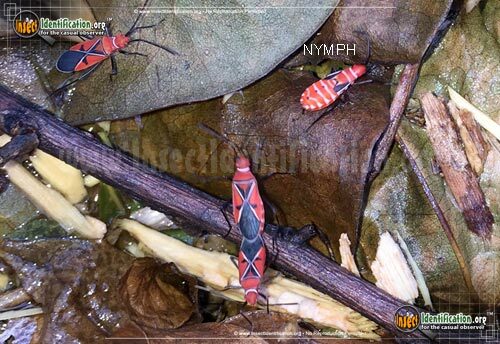 St. Andrew's Cotton Stainers are a type of Red Bug known for marking or staining the fruit it feeds on. The torso has a white diagonal, or tilted cross, like that of St. Andrew on the Scottish flag. Its bright red body has black wing tips, two black spots in the middle of the body near the center of the cross, and a black triangle near the pronotum ('shoulders') smudged with red in its center. Nymphs are commonly seen with adults on the same plant and have a plump abdomen with white lines running across it. Each white line has a tiny black dot on the midline of the insect. 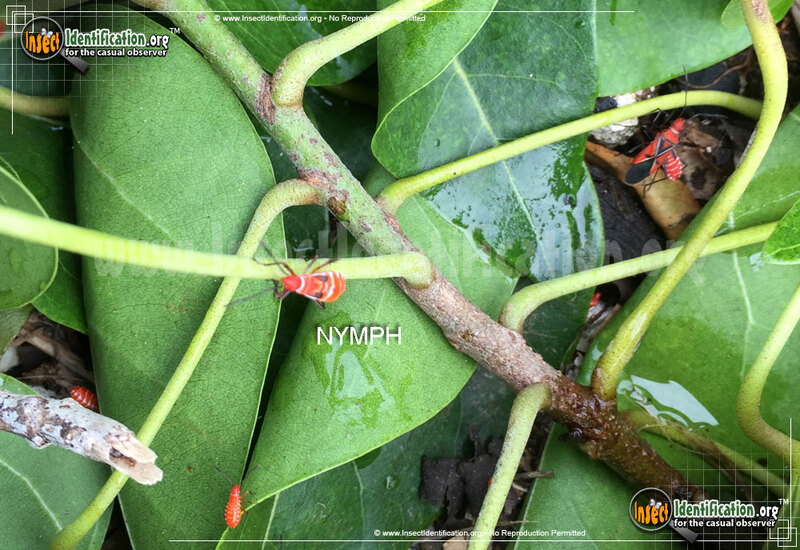 Historically, Cotton Stainers attacked young cotton bolls. Cotton bolls are the fluffy fruit of the cotton plant. When harvested, these tufts of cotton make fabric and cotton balls. The bug's feeding habit streaked the fresh, white cotton boll a yellowish brown color that never washed out. This staining ruined harvests on a grand scale, establishing the genus as an agricultural pest. This species can cause young cotton bolls to remain small in size. In addition to cotton, both nymphs and adults groups pierce edible fruits with their beaks and drink the juices inside. They are increasingly seen in fruit orchards and may be to blame for orange drop, a consequence of feeding on oranges which results in the fruit completely falling off the tree the same day. Spraying soapy water on affected plants may deter them. Removing weeds, debris, and other hiding places on the ground removes their winter shelters.